A CREW (Commercial Real Estate Women) New York panel of tax experts explain why the tax reform will not enable filing taxes on a postcard. 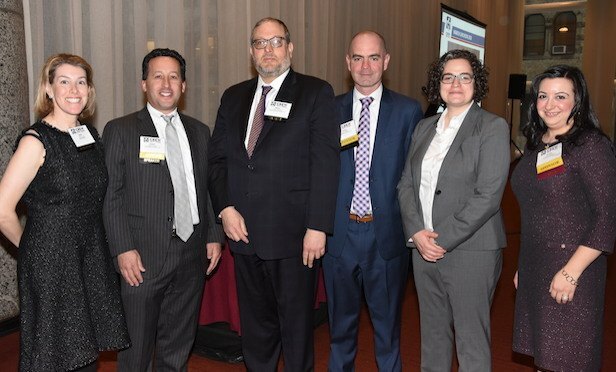 NEW YORK CITY—At an April CREW New York luncheon “Tax Reform & Real Estate: Demystified,” tax pros provided highlights of what the new tax laws mean for individuals and businesses. This year, because April 15 falls on the weekend, and April 16 is Emancipation Day, federal and state individual income returns, and corporate returns (as well as forms for extensions) are due on Tuesday, April 17. S corporation and partnership tax returns were due on March 15.